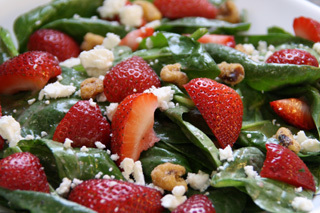 Meals in 15 Minutes or Less - Lunch 4: Strawberry & Spinach Salad! Read more about Meals in 15 Minutes or Less - Lunch 4: Strawberry & Spinach Salad! 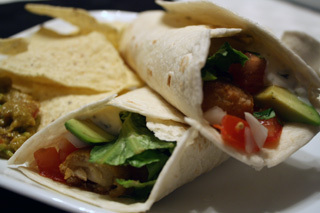 I'll never forget the first time I had fish tacos. We were visiting some friends and they took us to their favorite local restaurant. It was strongly recommended to me that I try the fish tacos, and having never had them before, I agreed to give them a chance. I was not disappointed! They were incredible! My husband doesn't much care for pasta salad, so I usually make it for myself during my summer break. 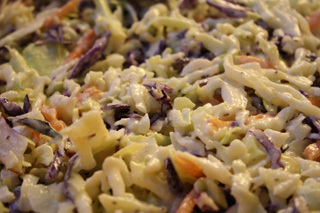 I have always enjoyed cold pasta salad, especially of the Italian variety! 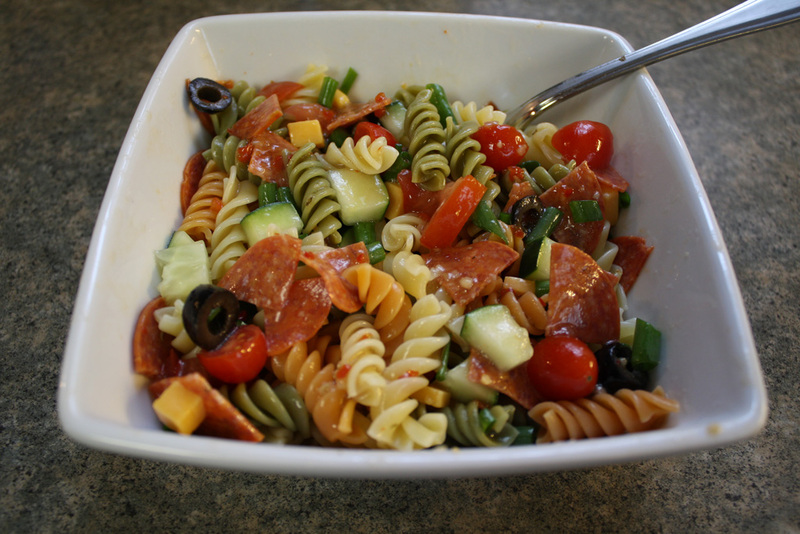 There is something about fresh veggies cut up with noodles and pepperoni! 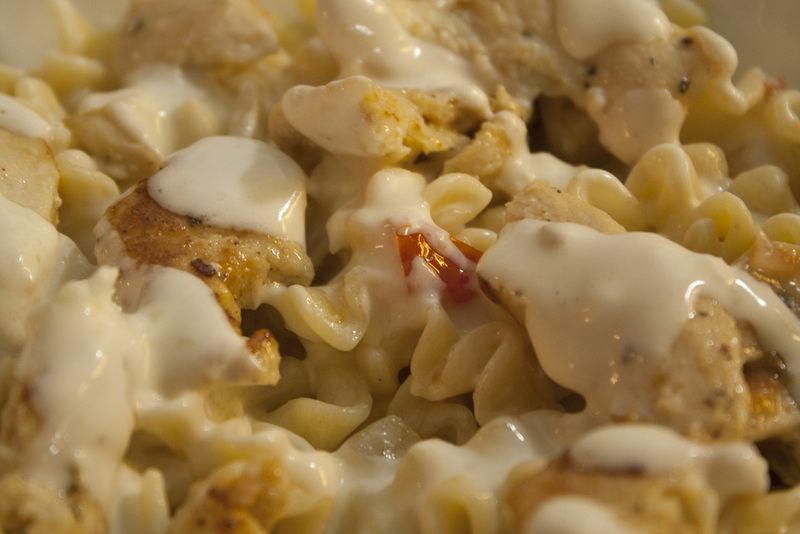 Plus that Zesty Italian dressing that pulls the dish together! It's a refreshing summer dish. 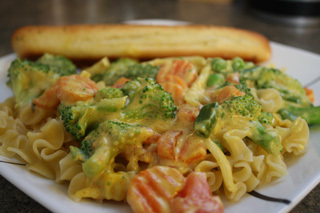 Meals in 20 Minutes or Less - Dinner 1: Curried Broccoli Alfredo Pasta! Read more about Meals in 20 Minutes or Less - Dinner 1: Curried Broccoli Alfredo Pasta! 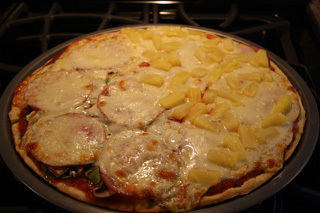 I have fond memories of family pizza night. Dad used to cook up at least a pound of hamburger to mix together a variety of red sauces to form his very special pizza sauce. My sister and I would play with the flour and dough, making a huge mess but having a blast, too. My mother would run around cleaning up after us and preparing the toppings. However, in all our years of pizza making, the toppings were almost always the same: pepperoni, mushrooms, onions, and tons of cheese. Read more about Hawaiian Pizza Awesomeness! Read more about Coleslaw from Scratch! BBQ Pulled Pork Sandwiches - AMAZING Summer Meal! My husband is a fan of pulled pork and frequently requests the store bought stuff. I, preferring homemade to pre-packaged and seeing that there was a sale on pork sirloins, decided to try my hand at pulled pork; I mean, how hard could it be? Turns out, it's a lot like any other roast. Pop it in the crock pot with some onions, garlic, seasoning, and liquid for 8 hours on low and you're good to go! Now I will share my easy but delicious recipe with you! 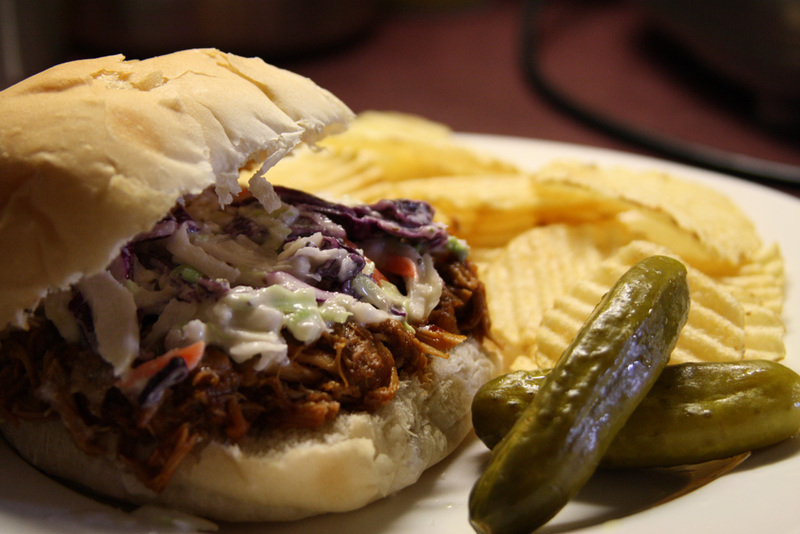 Read more about BBQ Pulled Pork Sandwiches - AMAZING Summer Meal! 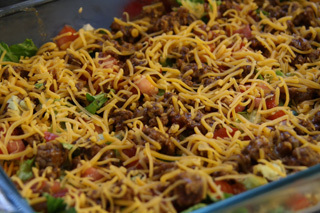 Taco Dip - as a meal or appetizer, it's delicious! Read more about Taco Dip - as a meal or appetizer, it's delicious! Mafalda with Homemade Alfredo Sauce! Yum! Despite growing up in an Italian home and learning many Italian recipes from my mother and grandmother, I had never learned how to make homemade Alfredo sauce. Thus, I was stuck with the store-bought version until I picked up this particular alfredo sauce recipe from a friend of mine. 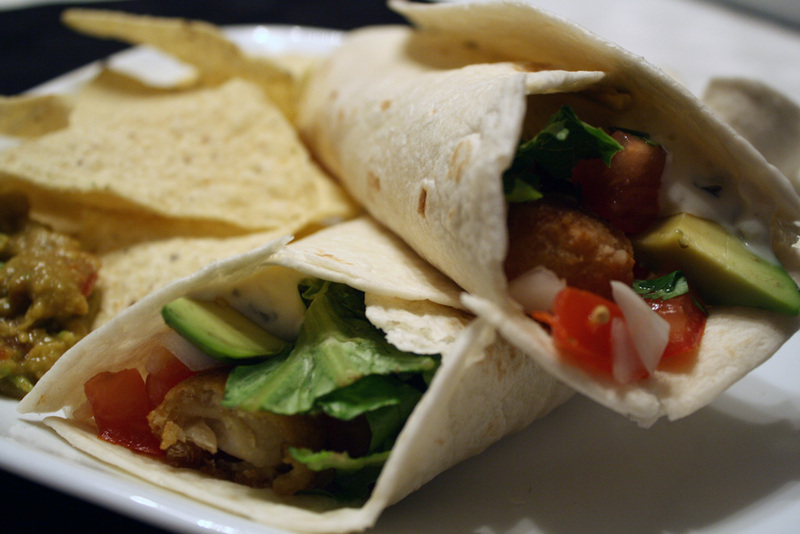 It is delightfully simple, yet tasty! Read more about Mafalda with Homemade Alfredo Sauce! Yum!